Los Angeles is like no other place on earth. It’s big, sprawling, beautiful, raucous, outrageous, fun-loving and larger than life. 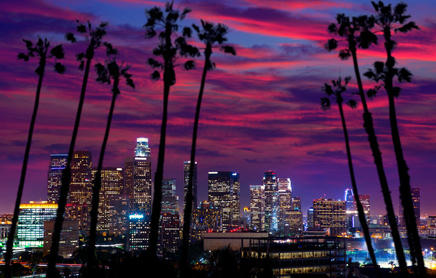 There is definitely an LA way of doing things and we’re famous for it – whatever “it” means. The expression “That’s So LA” has become part of the language because it captures that indefinable something that makes LA – LA. Los Angeles County is a dynamic yet complex place. Most people view it through the prism of the Entertainment industry and the industry’s associated hype. However, a deeper look shows Los Angeles is much more — the nation’s largest hub for international trade and manufacturing, a center for higher and specialized education, and a focal point of creativity and innovation. One way to put your arms around Los Angeles is to review a list of things “born in L.A.,” from the hot fudge sundae to the first stealth fighter, from the Barbie doll to animatronics. L.A. County’s transportation infrastructure is extensive. The county is served by a network of freeways that connects its 88 cities and the neighboring counties. This vast network of freeways is one of the best known symbols of the L.A. region. L.A. County is also served by a growing web of heavy and light rail systems. Metro, LA County’s transportation authority, operates the local subways. Two other rail systems operate out of Downtown L.A.’s Union Station, the central hub of the passenger rail network. The Metro link commuter rail system connects the four surrounding counties to L.A., and the Amtrak national rail system connects L.A. to the rest of the country. Los Angeles International Airport (LAX) is the largest origin and destination (i.e. non-connecting flights) airport in the world, and the sixth largest in terms of total passenger volume. Also, LAX is one of the busiest cargo airports in the world. Major projects are underway to modernize its terminals and runways. L.A. County also has two smaller airports with regularly scheduled domestic service: Long Beach (LGB) and Bob Hope (BUR) in Burbank. L.A. County has two major seaports, Los Angeles and Long Beach, that combined, are the largest port complex in the nation. In terms of total containers processed, the LA/Long Beach complex ranks fifth among the world’s largest ports (behind Singapore, Shanghai, Hong Kong and Shenzhen). L.A.’s seaports and airports are the lifelines of Southern California’s thriving international trade community.